Depending on your age, you might think of retirement as some far off notion that will, probably, eventually happen for you, or perhaps you feel the press of its expectations and the time looming on the horizon. Whatever your circumstances, it’s not impossible to create a valid retirement plan at this point in your life. 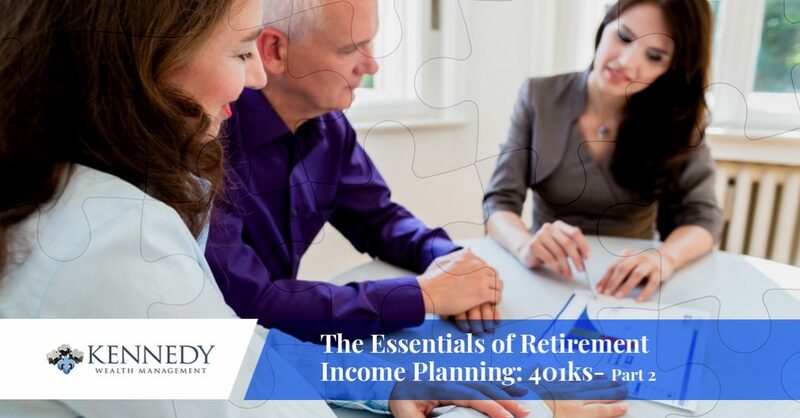 All you’ll have to do is understand the idea of retirement planning and the various avenues you can use to create a solid retirement strategy that you can be proud of. As the chief financial advisory service in Woodland Hills, we’re happy to advise you and guide you toward a strategy that will render your retirement the dream you’ve always hoped it would be. We discussed the practice of auto-enrollment a bit in our previous blog, but there’s always more to any portion of the financial industry than the bare bones description of something. Auto-enrollment for 401ks isn’t a flash in the pan practice. In fact, based off of a study from AARP, 68 percent of the companies in the U.S. automatically enroll their employees in their 401k plans. If you’re getting auto-enrolled with your new job, that’s a good thing, you’ll just have to be sure that the percentage they’re putting into your 401k is an amount that you’re comfortable with. This can be based on how much your employer is willing to match that contribution. If you’re wanting to invest 15 percent of your paycheck, but your employer will match the contribution up to $200, then you might as well calculate the free $200 and put that percentage in. If you put in less, then you’re turning down free money. If your employer uses any other metric besides the dollar-for-dollar comparison, just reach out to your HR person. They’ll be able to explain the 401k matching policy far better than the weird legal jargon inside your employee contract can. You shouldn’t have to debunk what “50 percent up to the first six percent” means, that’s what we’re here for. By nature, 401ks are the kind of investment that slowly grows and becomes more and more impressive. The secret to creating an impressive 401k is all within how much of a percentage you’re committing to deposit each month. Once you’ve found out how much you’re contributing each month, add 1.5 percent onto your contribution. That’s the minimum though, we’d even encourage you to increase it all the way up to 5 percent if you have the wiggle room to do so. When you do this, you won’t notice this small sums absence from your paycheck but your 401k will prosper for this non-sacrifice. Once you’ve committed to this minor increase, set up your 401k to increase the percentage added by 1 percent every year. To see this idea play out, we’ll use an example. If you started this tactic at age 25 and you make around $60,000 per year and you’re paid bi-weekly, then we think you’ll be sitting pretty. Let us expand: let’s say you’re auto-enrolled at a 5 percent contribution rate and your employer contributes a dollar for dollar rate of up to three percent. Since your 401k is not subjected to taxation, you’re looking at around a $115 per paycheck which is around $3,000 per year. The employer’s contribution will round out to around $1800 a year and if you were to follow our strategy and increase it by only 1 percent, that’d be $23 out of each paycheck. It doesn’t seem like a whole lot, but you have around 25 more years to let that build, even if you’re just keeping it at that same rate, that’s a really decent 401k you’ve got established. Per our above example, you can stand to create an amazing retirement plan with just some consideration on your part. In regard to the annual, automatic percentage increase, it’s vitally important. Nowadays, many financial advisors are estimating that most folks will need to save around $2 million to retire comfortably. If you’re diligently saving and have a diversified portfolio, this one percent should just about account for a 3 percent inflation rate, which is pretty conservative. Accounting for inflation is never a consideration for most folks when they’re considering their 401k, but it really should be. If you’d rather not get too caught up with all of this, reach out to us. Kennedy Wealth Management is here to make understanding your portfolio including your 401k and IRA investments easy. Don’t rely totally on a Social Security system that is actively being plundered, prepare yourself with care and consideration so when your retirement comes, you’re completely prepared for the future. Let’s create the perfect custom strategy for your retirement plan starting right now.